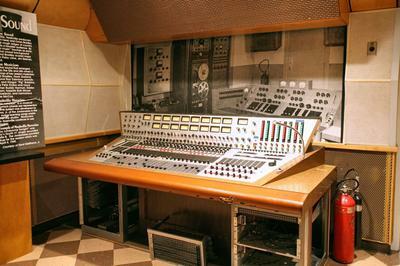 RCA Studio B Nashville Tenessee - Bill Porter’s audio console at RCA Studio B in Nashville. Studio B was the birthplace of the Nashville sound. Join in and write your own page! It's easy to do. How? Simply click here to return to Jack Clement Studios Nashville, TN.